1) I see the price for my product, and it shows the quantity as 4. Is that the price for all 4 or each? a. The prices shown on our site are for 1 individual item. Since most customers buy tires and wheels in sets of 4, that is the default quantity shown for each. 2) How do you ship my tires and/or wheels? a. Our preferred shipper is FedEx. Also, we can ship to APO’s, DPO’s and FPO’s via US Postal Service however there is additional shipping and handling required. Please contact a TiresByWeb.com fitment expert at 517-351-1801 for a rate quote. 3) Do you ship for FREE everywhere? a. Though we wish we could, our FREE SHIPPING only applies to the Lower 48 States excluding APO's, DPO's and FPO's. Please call us at 517-351-1801 for a Shipping Quote outside the Lower 48 States. a. The average shipping time is roughly 3 business days depending upon your order and geography. 1) I don’t know my tire size. How do I find it? a. The tire size is imprinted on the sidewall of your tire. The original equipment size is often found on a sticker in the door jamb of the driver’s door, and in the owner manual. (If you cannot find your tire size, a TiresByWeb fitment expert can help find it for you.) The tire size is usually in a format similar to 225/60R16 91H. These numbers correspond to different measurements and specifications related to the tire. 2) What do all those numbers in the tire size mean? a. In the size 225/60R16, the 225 is the width of the tread in millimeters. (There are 25.4 mm per inch.) The 60 is the aspect ratio, or the profile of the sidewall. This example shows that the sidewall of the tires would be 60% of the width of the tread. (60% of 225=135mm or 5.31”) The final number is the diameter of the wheel that the tire would fit. In this case, the tire would fit a 16” wheel. The 91 H indicates the load and speed ratings of the tire. (91 corresponds to 1356 lbs per tire, and H relates to a speed rating of 130 mph.) All these specifications combine to determine the capacities and capabilities of the tires. 3) Can I put a different size tire on my vehicle? a. Yes. In most cases, there may be several sizes that would work on a particular vehicle. Usually the original size is the best size for everyday driving conditions, but some situations (designated winter tires, for example) might be more suited for an alternate size. 4) How many different tire sizes are there? a. Hundreds. Since vehicles come in all shapes, sizes and designs, so do tires. 5) If I am buying new tires, do I need new valve stems? a. You can sometimes re-use the existing valve stems, but they are usually made of rubber and are subjected to the elements and ozone in the atmosphere. Since this is a vital part that allows you to add and hold air in your new tires, it is good to replace the valves when buying new tires. 6) If I am buying new tires, do I need new wheels? a. Usually you would buy tires to fit your existing wheels. An exception is if you are buying dedicated winter tires in a smaller size, and are buying a second set of wheels to mount them on or if you were plus sizing and wanted to buy a tire with a larger rim diameter. 7) I can’t find the tire I want in my size. Why not? a. Not all tires are built in all sizes. Some tires are specifically built for particular types of vehicles in mind, and are built in the tire sizes commonly found on those vehicles. Often, an alternate size might be available that would work on your vehicle. Ask a TiresByWeb.com fitment expert for advice in finding an alternate size. 8) The tires are shown with wheels. Are they included? a. No, the wheels are shown for display purposes only. We do offer a full line of wheels that are available separately. Please call one of our fitment experts at 517-351-1801 if you need help in placing your order. 9) On some of the new tires manufactured in Europe that are coming out like the Vredestein Ultrac Cento, what do the E4, -S and –W markings on the sidewall mean? a. Tires made in Europe like Nokian and Vredestein have to be officially certified, which is indicated by the letter E. The number beside the E is a country code where the certification was approved; for example 4 indicates Holland. The -S (Sound) indicates a sound requirement for silent tires. All car tires narrower than 195mm sold on the replacement market in Europe have to meet this requirement. Tires with widths between 195mm and 225mm have until Oct 1, 2010 to comply and wider widths until Oct 1, 2011. The -W is a compulsory performance requirement on wet road surfaces in Europe for car tires newly introduced to the market. The wet grip performance of these tires has to be at least 10% better that that of an internationally appointed reference tire. The Vredestein Ultrac Cento is the first tire that TiresByWeb.com is carrying that meets these new regulations. 1) What is a dedicated winter tire? a. This is a tire that is specially designed to be used in the winter and is marked by the Severe Service Emblem (Peaked Mountain with a snow flake embossed on the sidewall of the tire) which means the tire has surpassed certain government standards for tire performance in harsh winter conditions. The tread pattern, rubber compounding, and other characteristics of the tire provide enhanced performance in winter conditions. As such, we recommend buying winter tires in sets of 4 to run on your vehicle all the way around for the most balanced and controlled handling possible. 2) You mean ‘snow tires’ don’t you? a. Today’s winter tires are drastically different from the products of the past. Improved rubber compounding which allow the tire to maintain it’s gripping properties when the temperatures drop below freezing along with new tread designs allow today’s winter tires to give levels of winter performance far exceeding those of just a few years ago. 3) I have heard that when buying winter tires, I should try to get the narrowest size possible…Is this true? a. While we always recommend sticking with your stock original equipment size, by going narrower in the winter months when possible, you can gain better winter performance because narrower tires meet less resistance as they can glide through the snow better than wider tires which tend to have to plow through the snow more. Please consult a TiresByWeb.com specialist today to see if this may be an option for you. 4) What are studded tires, and do I need them? a. Studded winter tires have tungsten-carbide pins/spikes that protrude from the tire tread and give added traction in icy conditions. Most of the Studded tires that we sell come factory studded from the tire manufacturer. The studs that we carry are not retractable and tires must be studded before they are driven on as debris and dirt from the road clogs the stud holes and does not allow the stud to seat properly if not pre-studded before use. Tire studs only add traction in icy conditions, and do not help in snow or on dry roads. Many states limit or ban the use of studded tires. Consult local regulations before using studded tires on your vehicle. 5) Can I just use 2 studded tires at a time instead of 4? a. No. Studded tires MUST be used in sets of 4 at a time. Using only 2 studded tires at a time can make the car handle unpredictably, and is extremely dangerous. 6) What is this snowflake symbol that is sometimes embossed on the sidewall of tires? a. Known as the Severe Service Emblem (Peaked Mountain with a snow flake embossed on the sidewall of the tire) which means the tire has surpassed certain government standards for tire performance in harsh winter conditions. This is a designation given by the American Society for Testing and Materials (ASTM) that indicates that the tires exceed a standard for winter traction. These standards are far higher than those for Mud and Snow (M+S) rated tires. 7) I have all-season radial tires. Aren’t they good for winter? a. Some all-season tires perform adequately in winter in moderate climates. In areas that see substantial snow or ice, a dedicated winter tire, or an all-weather tire which carries the Severe Service Emblem (Peaked Mountain with a snow flake embossed on the sidewall of the tire) which means the tire has surpassed certain government standards for tire performance in harsh winter conditions would be more appropriate. 8) I don’t want 2 sets of tires. Are there any tires that are good in the snow that I can use all year? a. Yes. Some manufacturers produce all-weather tires that are winter-rated, but designed to be used all year long. These would be tires like the Nokian WR G2 and the Vredestein Quatrac 3. 9) All-weather? Isn’t that the same as all-season? a. No. All-season tires generally do not get the Severe Service Emblem (Snowflake on the mountain symbol.) that all-weather tires get. All-weather tires will give winter traction comparable to a designated winter tire. 1) What do I need to know when shopping for wheels? a. You need a few basic pieces of information about your vehicle. The year, make, and model of vehicle are essential pieces of information. The trim level, (SE, LE, Sports Package, etc.) and drivetrain ( 2WD, 4WD, AWD, etc.) can also be necessary to determine the correct fit. From this information, a TiresByWeb.com fitment expert can help you determine the bolt pattern and correct offset measurement required for your vehicle. 2) What is a bolt pattern? 3)How do I measure my bolt pattern? a. If the amount of bolts or lug-nuts that you have on your vehicle is even (Such as 4,6,8,etc) than the spacing would be determined by measuring from the center of one stud/lug nut to the center of the stud/lug nut that directly opposes it across the star pattern. If the amount of bolts or lug-nuts that you have on your vehicle is odd (Such as 3,5,7,etc) than the spacing would be determined by measuring from the center of one stud/lug nut to the far outside edge of the stud/lug nut that directly opposes it across the star pattern. 4) What size wheels do I have? a. Vehicles come with a stock size from the factory. When looking at your tire sidewall, the last number in the tire size indicates your wheel diameter. For example, in a P225/60R16 size, the wheel is a 16” wheel. 5) Can I change wheel sizes? a. Yes. Most vehicles are able to use different sized wheels. 6) If I change wheel size, do I need new tires? a. Yes. Tires of a certain rim diameter will only fit on wheels of that same rim diameter. If you get larger wheels, you will need larger tires. 7) How big of a wheel can I put on my vehicle? a. That depends on the vehicle involved. Some smaller cars use 13” wheels, while some trucks can use 26” or larger wheels. A TiresByWeb.com fitment expert can help you determine what is appropriate for your vehicle. 8) What determines how big of a wheel would work on my vehicle? a. A number of factors come into play when determining wheel sizing. Ideally, the overall diameter (OD) of the plus-size tire needs to remain close to the OD of the original tires. Changing the OD can alter the accuracy of the speedometer and odometer and cause stress on the braking systems among other issues. Whether a vehicle is lifted or lowered will also affect the size wheel that would be appropriate. 9) How does the tire stay the same size, when the wheel gets bigger? a. When the wheel diameter gets larger, the tire sidewall gets smaller. Combined, they will be of a similiar OD as the original, but you have traded tire sidewall for larger rim diameter. 10) Is bigger always better? a. Larger wheels can be more stylish than smaller stock wheels, but going too large can adversely affect ride quality and performance. 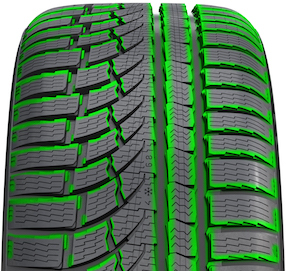 A Tires By Web fitment expert can help you determine what sizing is best. a. Offset is a measurement of the relationship of the back of the face of the wheel to the imaginary centerline of the wheel. On a wheel with a high offset, the face of the wheel will be toward the outside edge of the wheel. A wheel with a negative offset will appear that the face is pushed in, creating a bowl-type appearance. On a wheel with a zero offset, the face will be in the center of the wheel. Different vehicles require different offsets. 12) That is pretty complicated. Is offset really that important? a. Yes. If the offset is not correct for your vehicle, the wheel may rub on the brakes, or the tire may rub on the fender. 13) What is the difference between chrome and polished finishes on wheels? a. Chrome has a very shiny finish, like a chrome bumper. Chrome wheels are generally more expensive, but require less upkeep. Polished finished wheels will look like a coin in your pocket in terms of shine and will require some upkeep to keep them looking good. 14) What is Super Finished? a. Super finished wheels are a compromise of polished and chrome. They are not as shiny as chrome, but do not need the upkeep that polished wheels require. 15) I am missing the center cap from my wheel. Do you sell them? a. Yes, we do sell replacement center caps. Ask a TiresByWeb.com wheel expert for assistance. Often part numbers are printed on the inside of the cap. If it is possible, have one of your existing caps available when calling. 16) I damaged one of my wheels; can I buy a single one? a. Yes. Wheels can be purchased in any quantity. 17) I am looking for a replacement wheel, but I don’t see it on your site. Is it still available? a. Maybe. Some discontinued wheels may be available in select sizes and bolt patterns even though they may not be listed on our website. Ask a TiresByWeb.com representative for assistance. 18) I am looking for wheels for a winter tire/wheel package, but I don’t need anything real fancy. What are my options? a. For some vehicles, black steel wheels are available for winter packages. (Generally black steel wheels are only available in 16” sizes and smaller.) We also have some inexpensive alloy wheels that are available for winter packages. 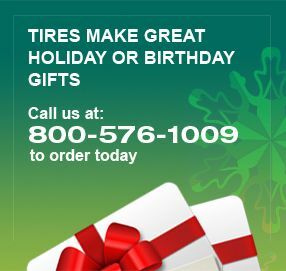 Ask a TiresByWeb.com winter tire and wheel expert for assistance. 19) If I am buying new wheels, do I need new tires? a. If you are not changing the wheel size, you can mount your existing tires on the new wheels. If you are buying different sized wheels, you will need new tires also. 1) My vehicle has a Tire Pressure Monitoring System. What is that, and how does this affect buying new tires? a. The Tire Pressure Monitoring System (TPMS) is a system by which your vehicle monitors the air pressure in your tires, and warns you if the pressure falls below the suggested pressure. On most vehicles, the TPMS includes a sensor mounted inside the tire which senses the pressure and relays that information to the vehicle’s computer. These sensors are often mounted to the inside of the wheel itself, and can be re-used when replacing tires. If you have the TPMS system, then it is not necessary to buy replacement chrome sleeve valves. 2) Do I need special tires if I have a TPMS? a. No. The sensors will work with standard tires. 3) My vehicle has a Tire Pressure Monitoring System. How does that affect buying new wheels? a. When buying new wheels for most vehicles, you will need the TPMS sensors installed in the wheels in order for the system to operate. You can transfer the sensors from your existing wheels, or purchase new sensors for the new wheels. This can be done when the wheels are installed. If your vehicle is equipped with TPMS then you must use TPMS sensors at all times per the NHTSA. In most instances, the TPMS sensors take the place of the air valves on the wheel, so standard valves would not be required. 4) Are there wheels that do not work with the TPMS? a. In some instances there are wheels, such black steel wheels, that may not be compatible with the TPMS sensors. Please consult a TiresByWeb.com TPMS expert for questions regarding if a wheel is compatible or not.